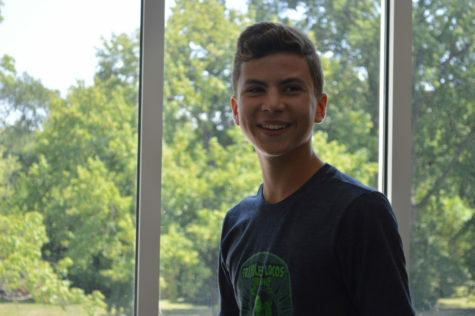 I’m Eliot Fuller, I’m a sophomore, and this is my first year on the U-Times staff. I’ve always enjoyed writing, and both of my two sisters have been part of the U-Times, so I decided to follow in their footsteps. During the fall, I run on the cross country team, and when spring comes, I play tennis. When I’m at home, there’s a strong chance you’ll find me watching whatever sports are on TV. I’m a huge Cardinals, Blues and Jayhawks fan. Journalism is something that I would like to do for a living, and joining the U-Times is my first step towards that dream. I look forward to working with this great group of people, and helping make the paper as good as we can possibly make it.